This is HILARIOUS! 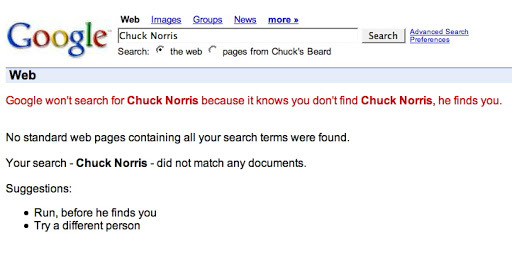 If you go to Google and type in “find chuck norris” and hit “i feel lucky”. This is what pops up…(I totally swiped this from Tory Farina’s blog…so worth it).